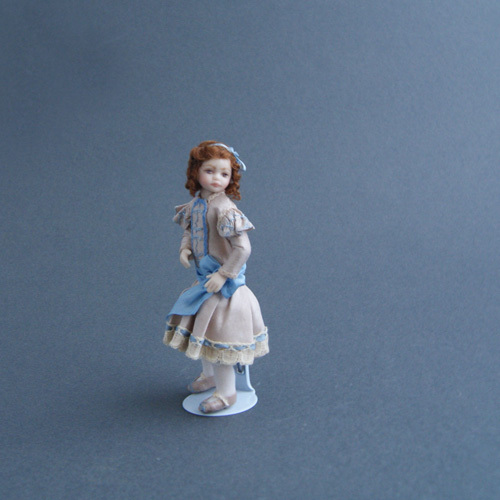 Helena – late Victorian/Edwardian. The dress is dark cream silk with pretty lacy shoulder cuffs and front panel with I have embroidered to match the wide blue sash and ribbon. 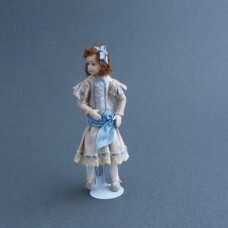 The hair is made from viscose, trimmed with a blue silk ribbon/band. Helena wears tights, tiny shoes and undergarments. 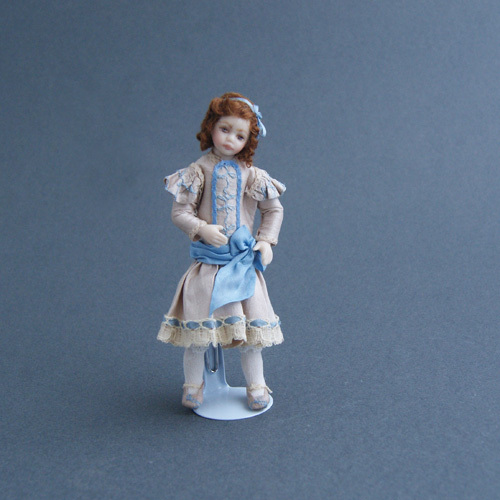 She will stand or sit and is made from porcelain - 1⁄12th scale i.e. Dolls house size.